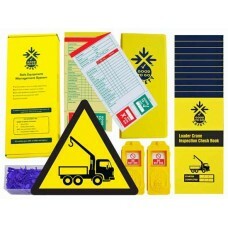 It is a legal requirement that loader cranes (often referred to as a lorry loader, vehicle mounted crane, knuckle boom crane or by the manufacturer name "hiab"), receive an up-to-date inspection in order to ensure it is safe to use and complies with current regulations (LOLER, PUWER, HSWA, MHSWR, and RTA). Because lorry loaders spend a significant amount of their working time travelling on the public highway, the Vehicle & Operator Services Agency (VOSA) has the authority to issue on the spot fines for any obvious non-compliance. 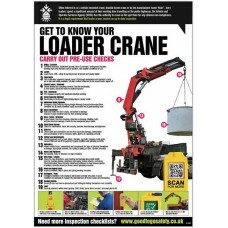 Pre-operational loader crane inspections checks are an integral part of any effective maintenance regime. Lorry loaders are complex machines with electrical, mechanical and hydraulic systems that require the manufacturer’s preventative maintenance instructions to be strictly complied with. As with all lifting equipment the loader crane is subject to wear and deterioration over time. Routine loader crane inspections can help to identify faults before they develop further, improving safety and reducing costs in the long run. The pre-use check should be carried out at the start of the working day or shift or when taking over the lorry loader for the first time (e.g. mid-shift). It is important that the personnel asked to carry out these inspections have the necessary training, experience and competence to do so safely and accurately. 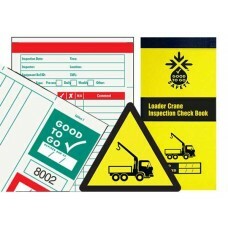 The Good to Go Safety loader crane inspections checklist has been designed in accordance with BS 7121-4:2010 and will allow the operator to run through safety critical loader crane inspections checks and record the findings. If any defects are found during the inspection, which are detrimental to the safe operation of the machine, then it must not be used until management has been informed and repairs have been completed. By displaying the date and findings of each completed loader crane inspections checklist on the machine it ensures everyone knows when the crane is Good to Go. Preventative maintenance of loader cranes will help prevent break downs and lost valuable work time that could have been avoided. 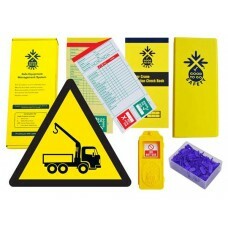 A Good to Go Safety loader crane inspections checklist enables daily checks to be completed and recorded before displaying the findings in the status tag for all to see.